The chimney is one of the most important safety aspects of having a fire in your home. Chimneys that are in poor condition can leak dangerous fumes back into your property endangering the people within. Over time hot smoke, tars and acids eat into the chimney walls and erode mortar joints causing staining to the exterior stone or brickwork, and leakage of dangerous fumes into the property. Large and uneven flues can also create poor up draught causing smoke to blow back into the room. 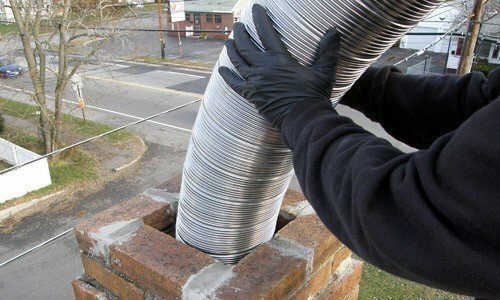 By installing a flexible flue liner into the existing chimney, you solve the problems quickly and easily instead of the expensive rebuilding of the chimney! These liners are installed inside the existing brick chimney, so there is no change to the external appearance of the building and no messy building work. Once installed inside the chimney it is connected to the existing appliance ensuring a safe exit of harmful gases from the property. Not only will the installation of a chimney lining safeguard you from dangerous fumes but will also improve the efficiency of your appliance! 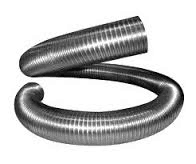 Because the flue warms up quicker with the installation of a lining, there will be less condensation and therefore greater efficiency from the appliance. These linings are guaranteed between 10 and 20 years (dependent on grade) and with no jointing involved it’s something that every chimney should have. Give us a call today on 01264 310493 for your free, no obligation, quote or use our contact page for us to call you.